Constant evaluation of quality and dimensional accuracy at each stair of manufacturing is required to achieve a benchmark output. 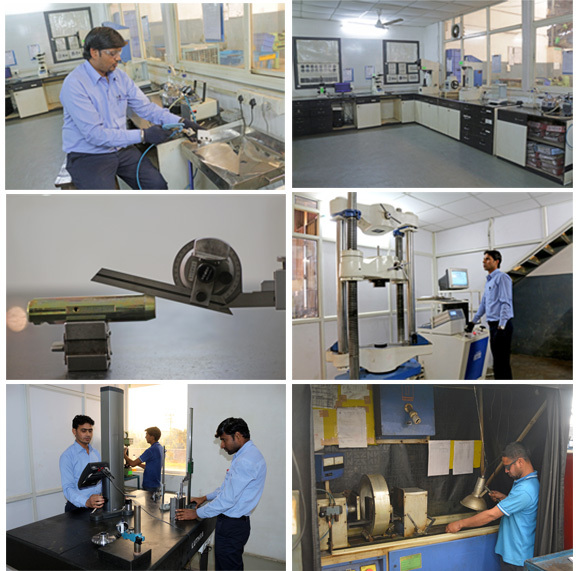 Our super-specialised Physical and Metallurgical Laboratory does just the same. In-house Micro structure Test Facility. Hardness & Physical Properties testing. DFT Checking for Coated Parts. Distt. Dhar – 454 744(M.P) India. Distt. Dhar – 454 744 (M.P) India. Old Palasia, Indore - 452 018 (M.P) India.